Meg's Food! 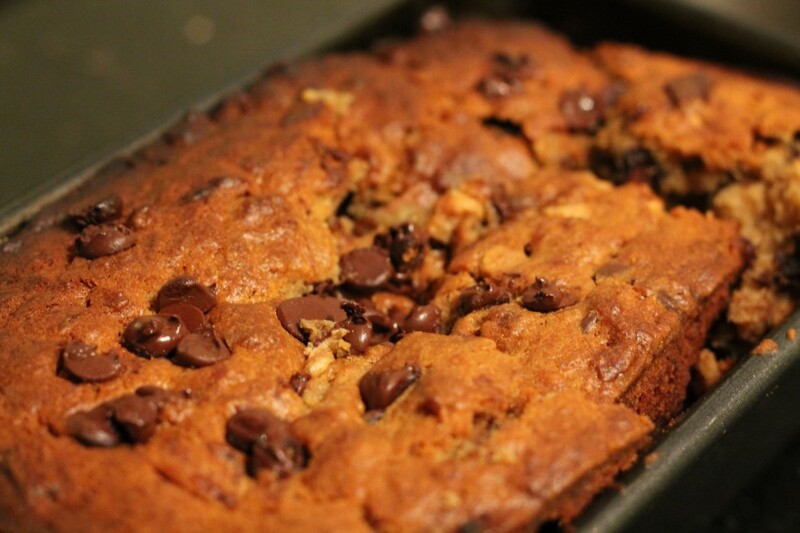 | Peanut Butter Banana Bread - Meg's Food! 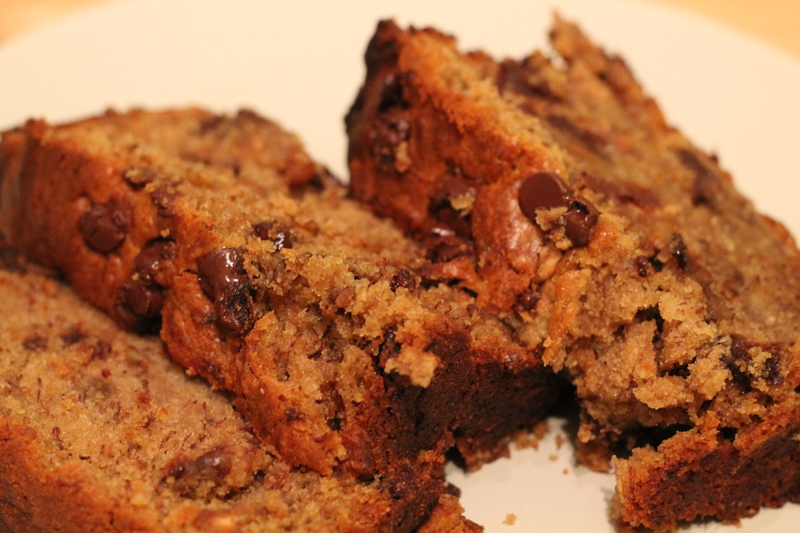 This banana bread is the beautiful product of some procrastibaking. I made it last week as a distraction from all the tests, papers, and assignments I’m currently working my way through, and what a delicious distraction it turned out to be! Peanut butter, banana, and chocolate – three of my favourite flavours, all rolled into one! Unfortunately stress got the better of me and I had a baking misadventure while making this bread – when I took this bread out of the oven, I wasn’t thinking clearly, was cranky, and just wanted a piece RIGHT NOW so I took it out the loaf pan BEFORE it was completely cooled…and disaster ensued. The banana bread crumbled, caved in the middle and fell completely apart in a way that reminded me a little too much of would healing complications (I’ve been studying too much). I shoved it back in the pan, ran away, and prayed for the best. So while my loaf didn’t turn out the prettiest, this bread is everything I hoped it would be – it’s moist and dense, packed with peanut butter flavour, and sprinkled with chocolate AND peanut butter chips. Bananas, peanut butter, and chocolate, all together in one sweet loaf; this bread is the perfect cure for midweek stress! In a large bowl, cream butter, cream cheese, and peanut butter until smooth. Mix in brown sugar, egg, and vanilla, stirring for 2-3 minutes until smooth. Mix in yogurt and bananas. In a small bowl combine flour, baking powder, baking soda, and salt. Stir into wet ingredients. Fold in chocolate and peanut butter chips. 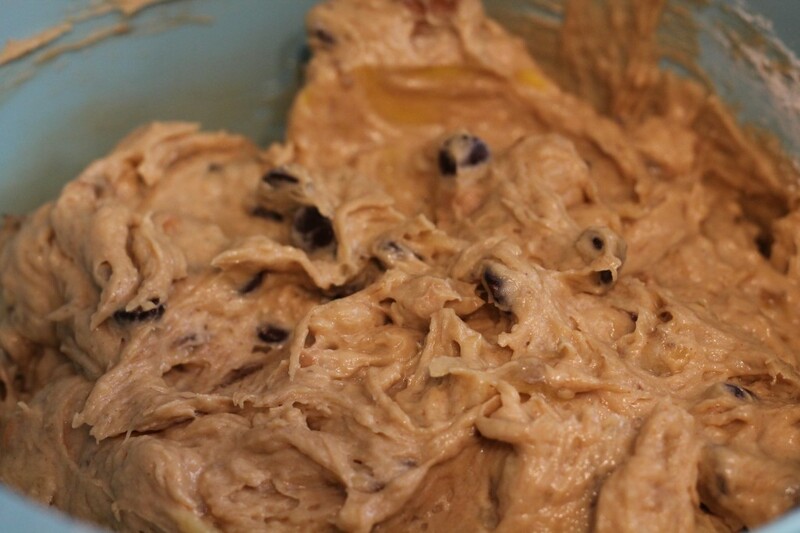 Pour into loaf pan and sprinkle the top with more chocolate chips if you want. Bake until golden on top and a tester inserted into the centre comes out clean, about 45-50 minutes. This bread is so chocolatey, peanut buttery, banana-y, sweet, and moist, you won’t even ruin it if you let it completely collapse. Need a midweek pick up? This bread is just perfect! 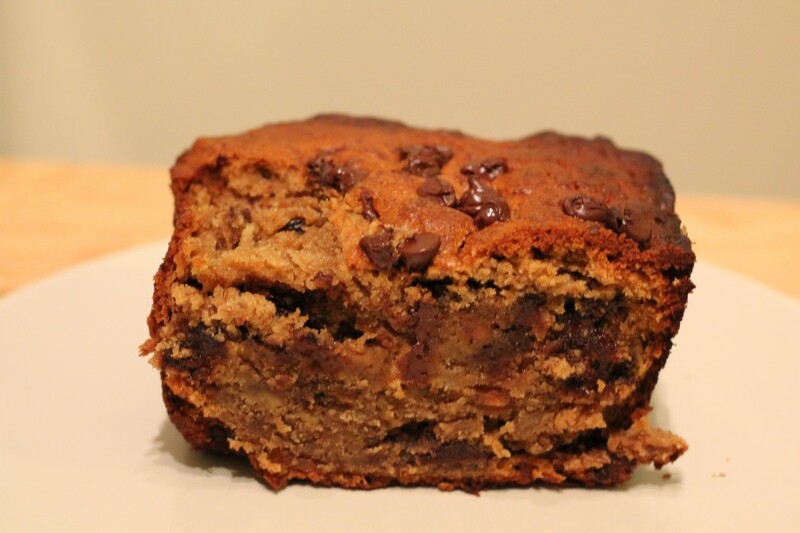 This entry was posted in Recipes, Sweet and tagged banana, chocolate, peanut butter. Bookmark the permalink. OMG again! the pix are amazing. Thank God this bread is NOT in my house tonight. I can’t find my phone….and I need some comfort food.